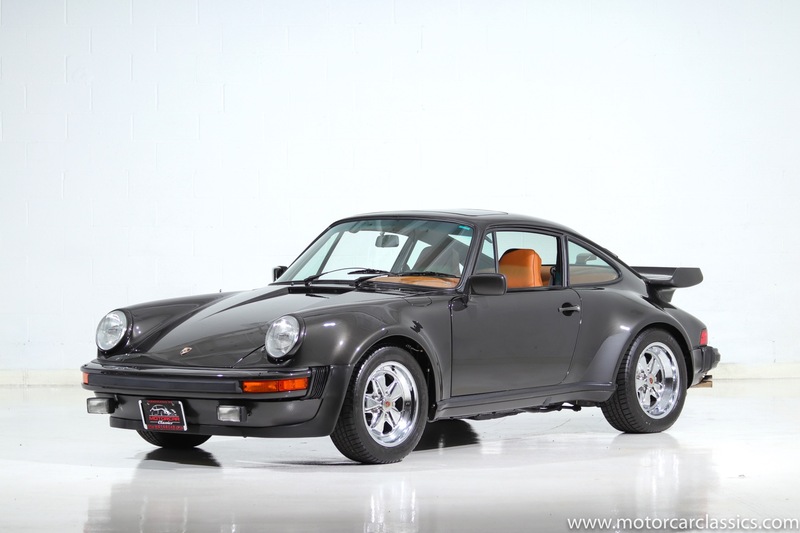 1979 PORSCHE 930 TURBO COUPE for sale. 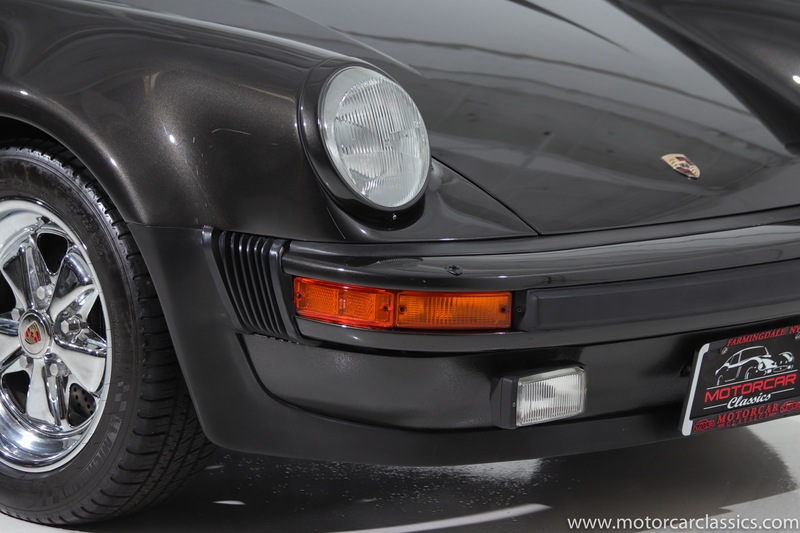 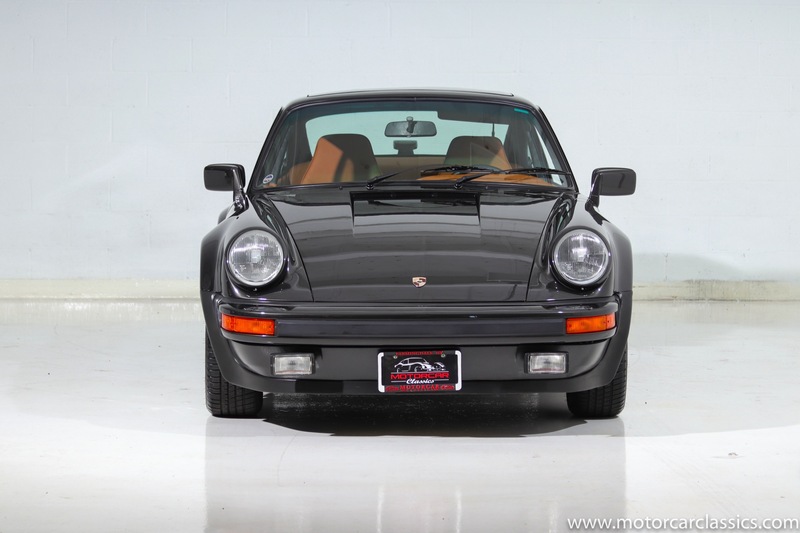 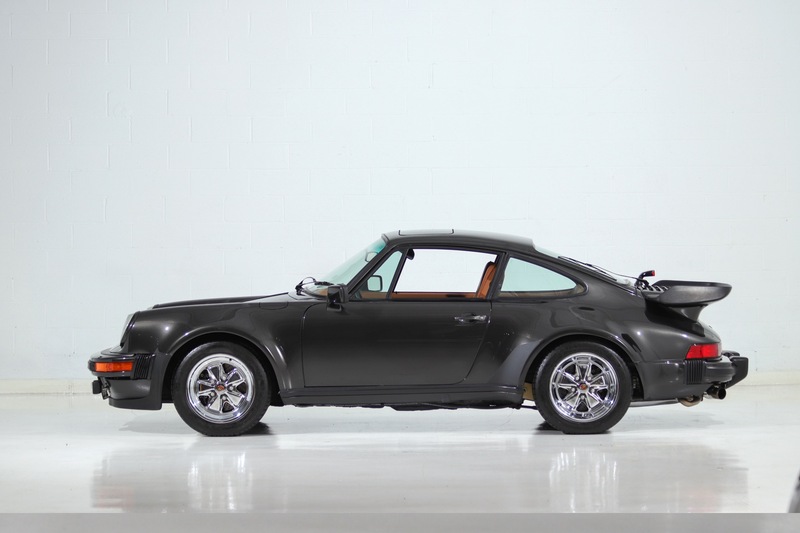 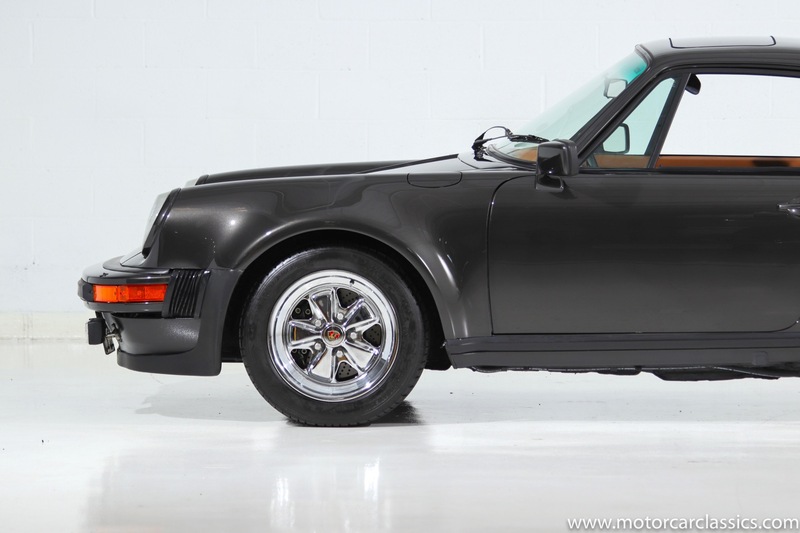 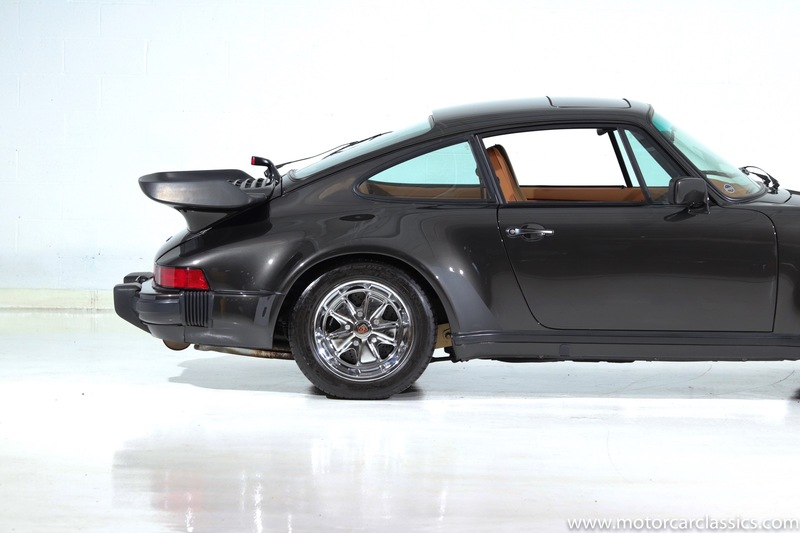 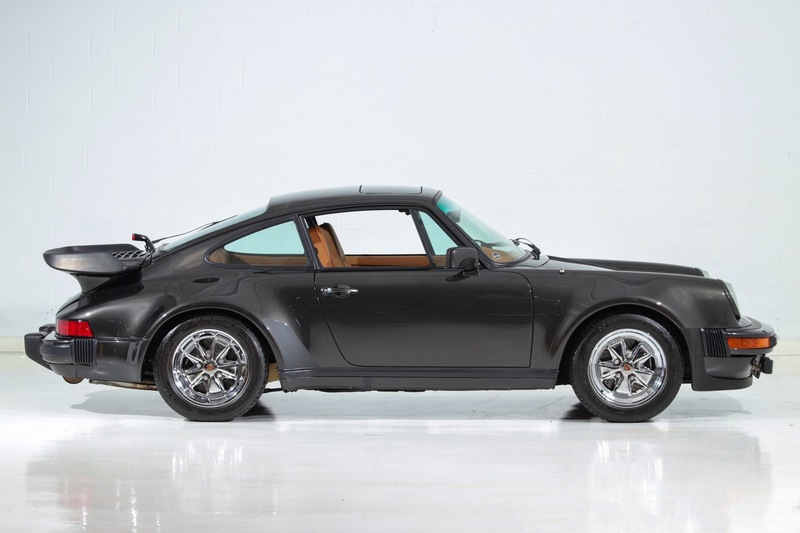 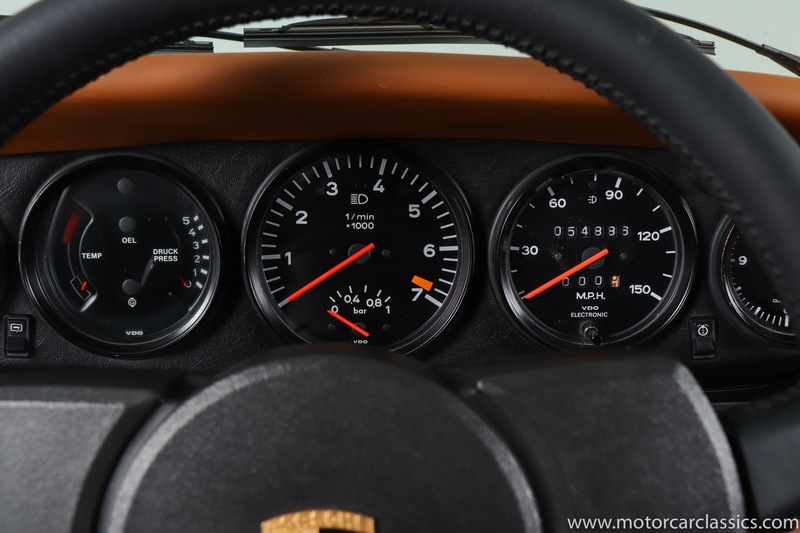 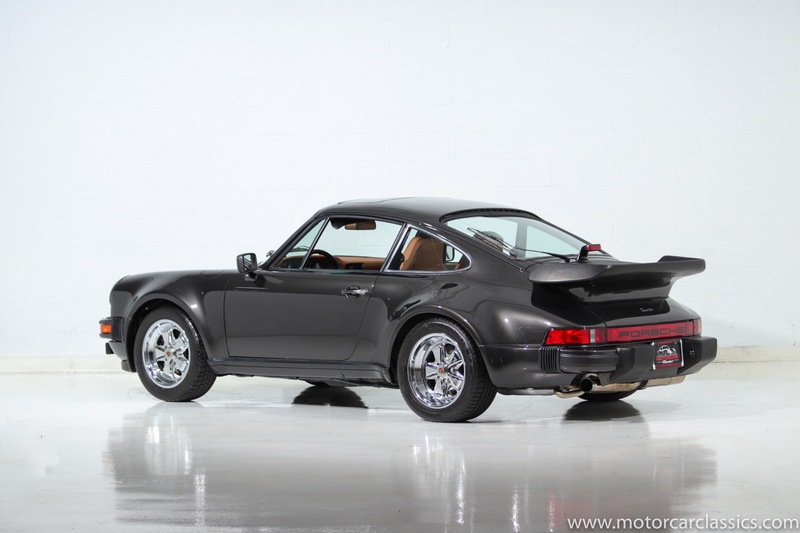 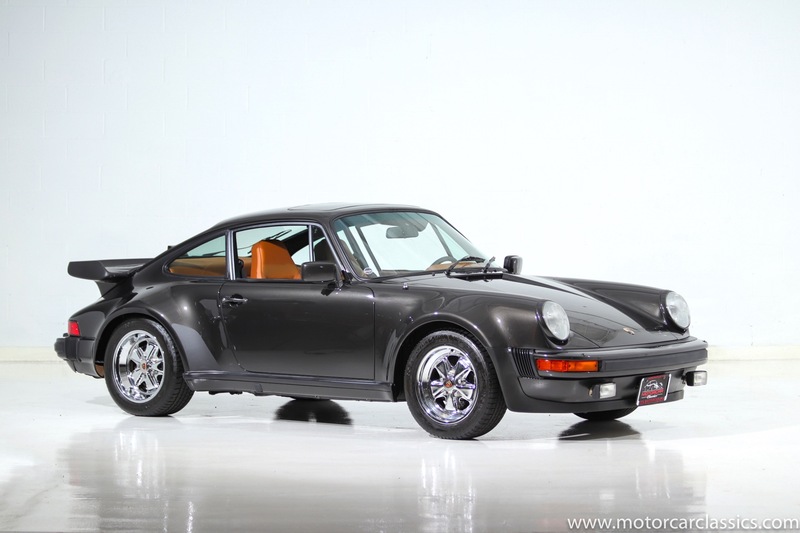 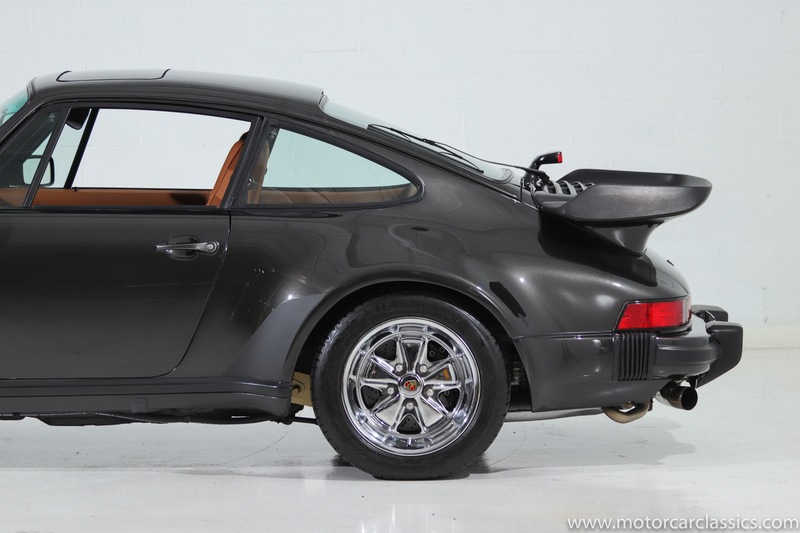 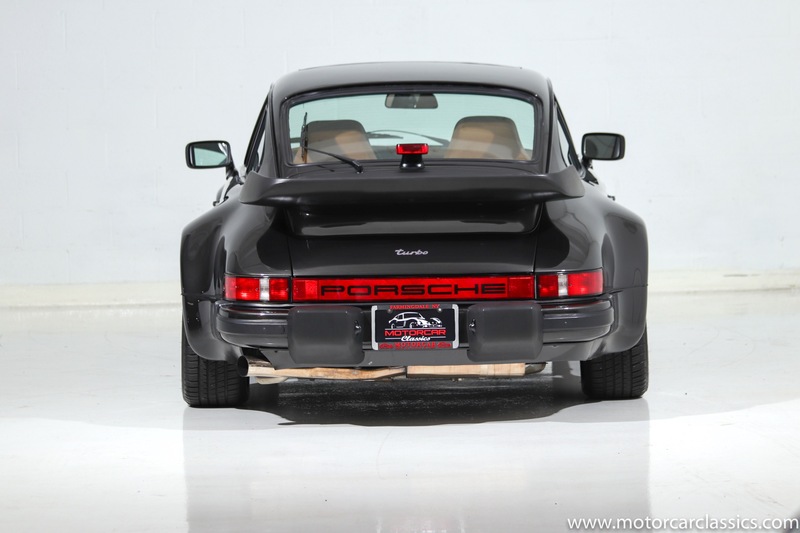 Motorcar Classics is pleased to offer this stunning 1979 Porsche 930 Turbo. 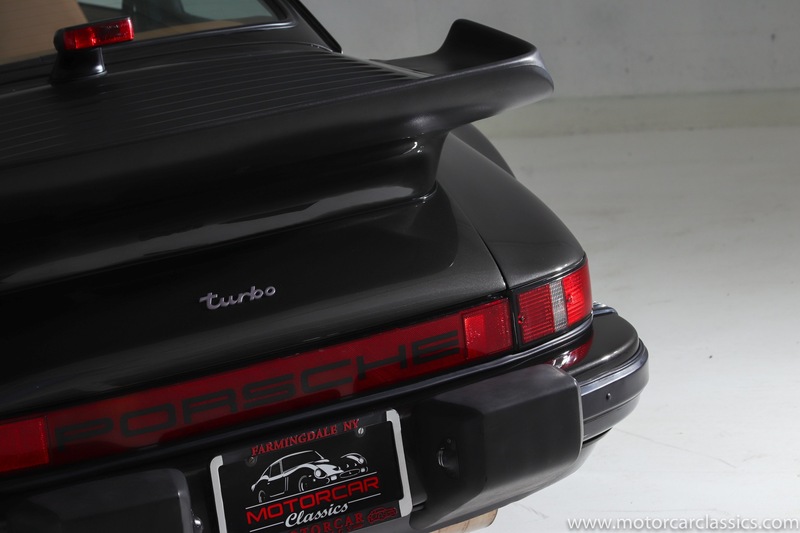 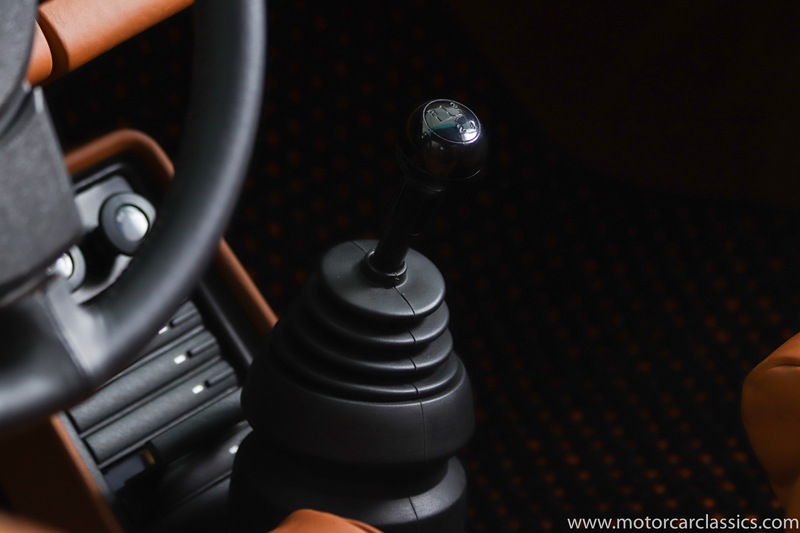 Our Turbo has been fully restored in its original colors of Metallic Black on Cork (tan leather). 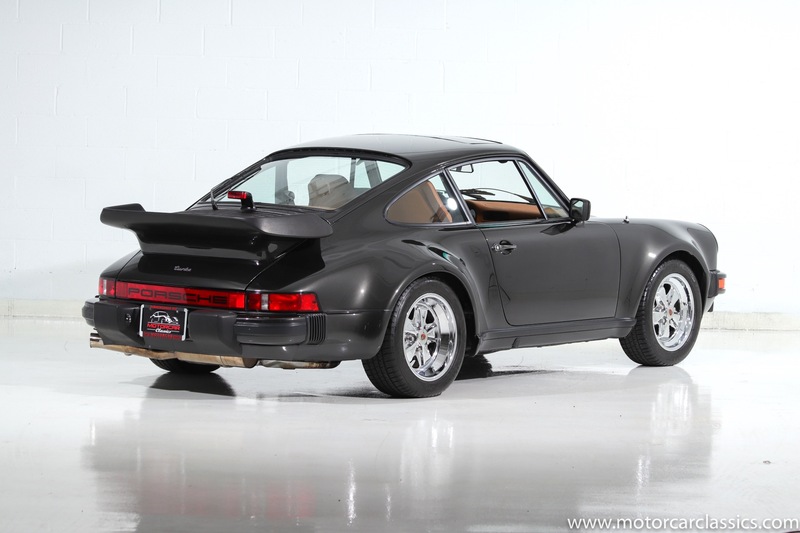 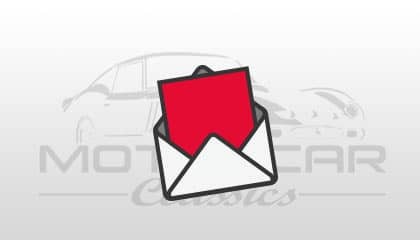 The restoration was done by a respected Porsche shop and is photo-documented along with accompanying receipts and records. 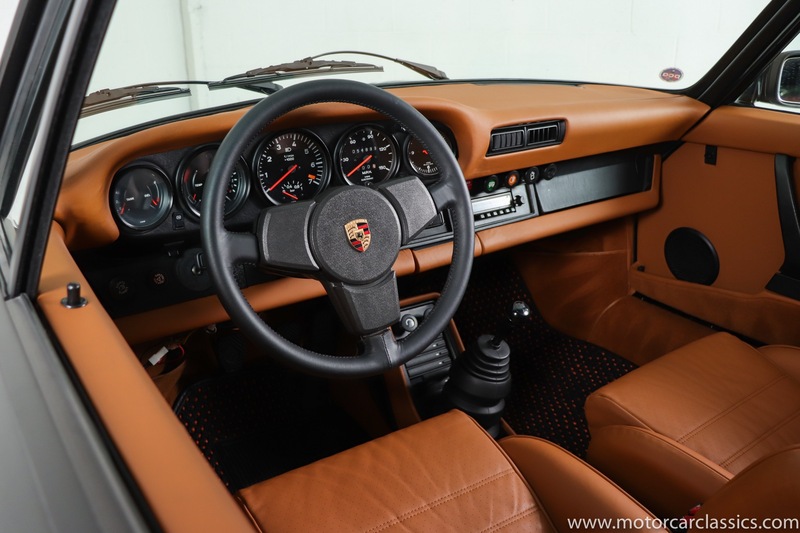 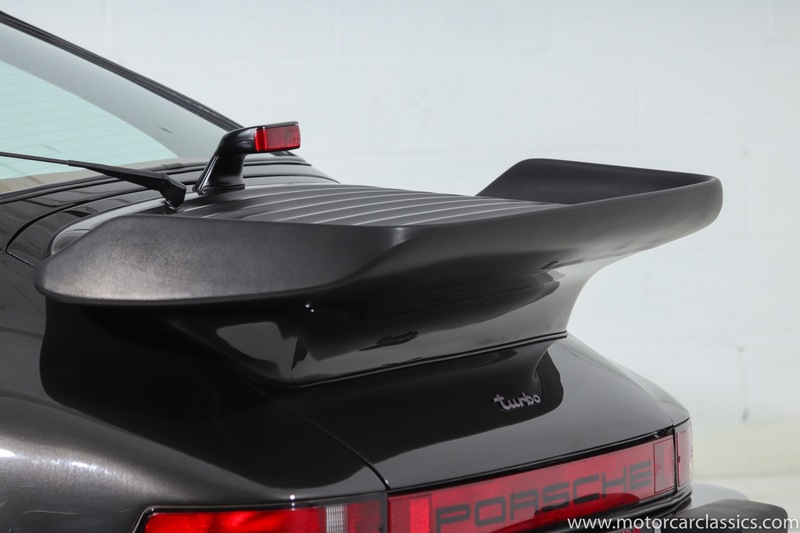 The restoration, completed in 2016, is authentic in colors and the car has all matching numbers in accordance with the included Porsche Certificate of Authenticity (COA). 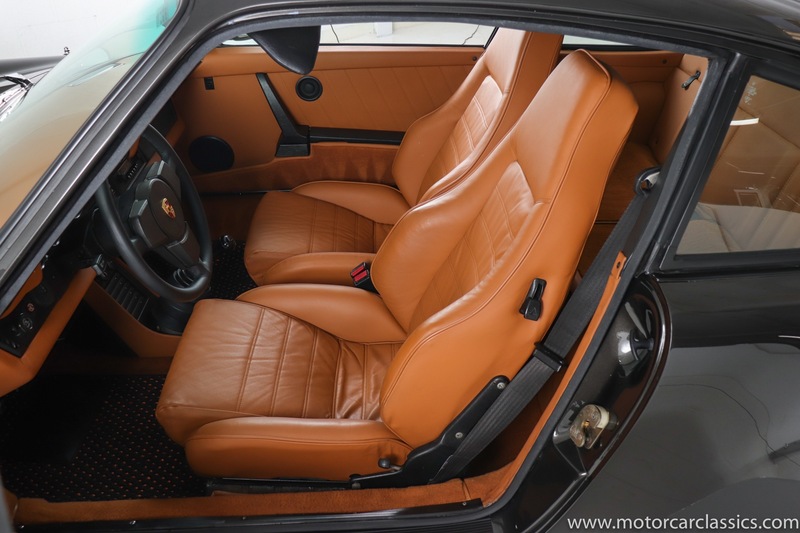 The car comes with full service records dating back to the early 1980s. 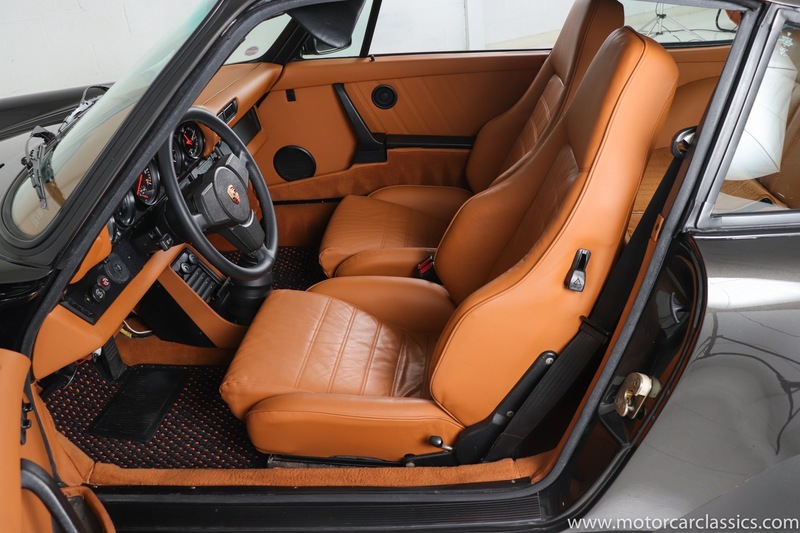 The paint and finish were completed to the highest degree of quality. 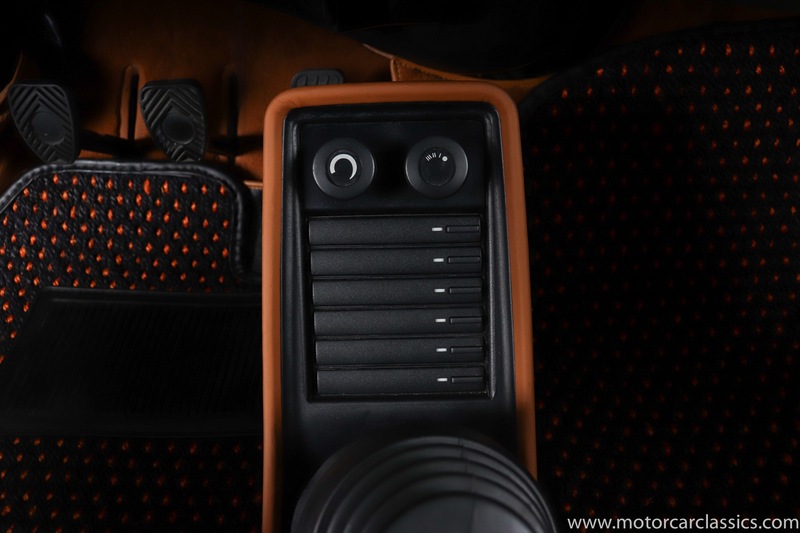 All panels were sanded down to the bare metal and properly prepared before any color was applied. 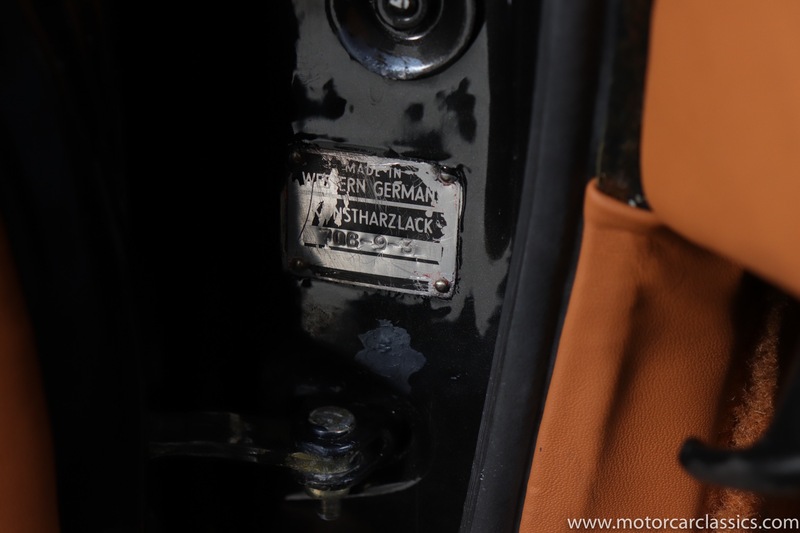 The glass was taken out and all seals and gaskets were replaced. 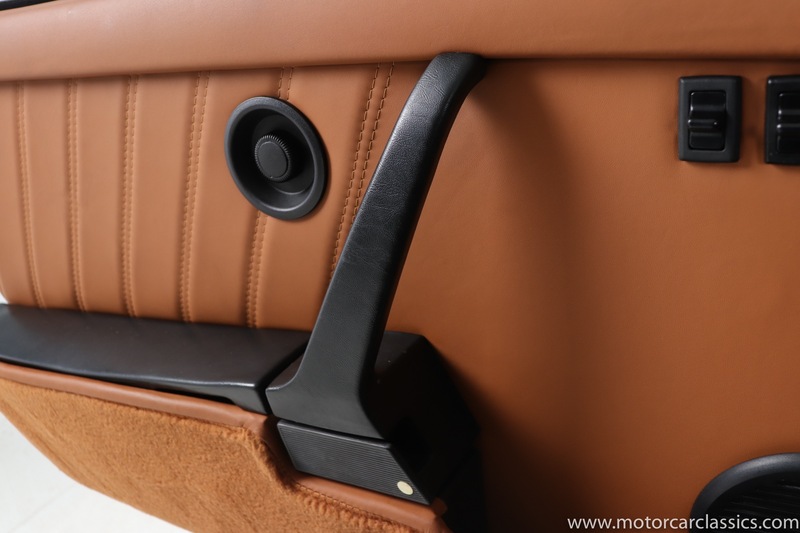 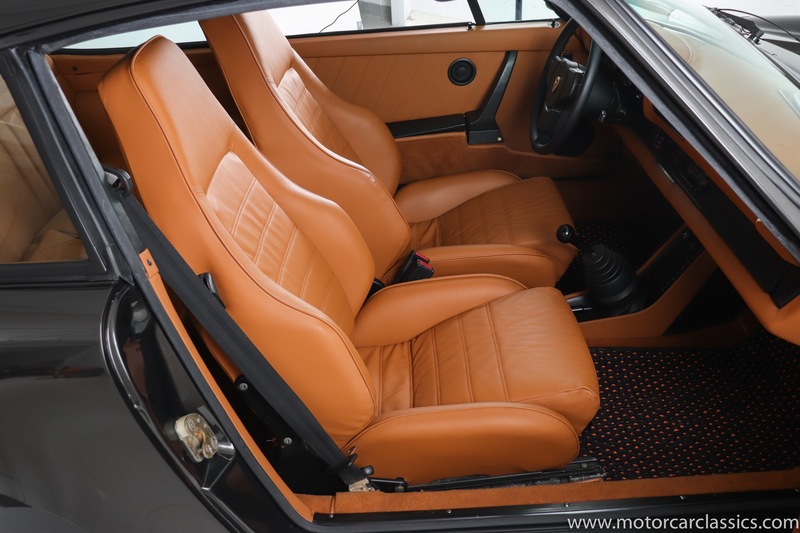 The interior was completely re-done with new leather and carpet. 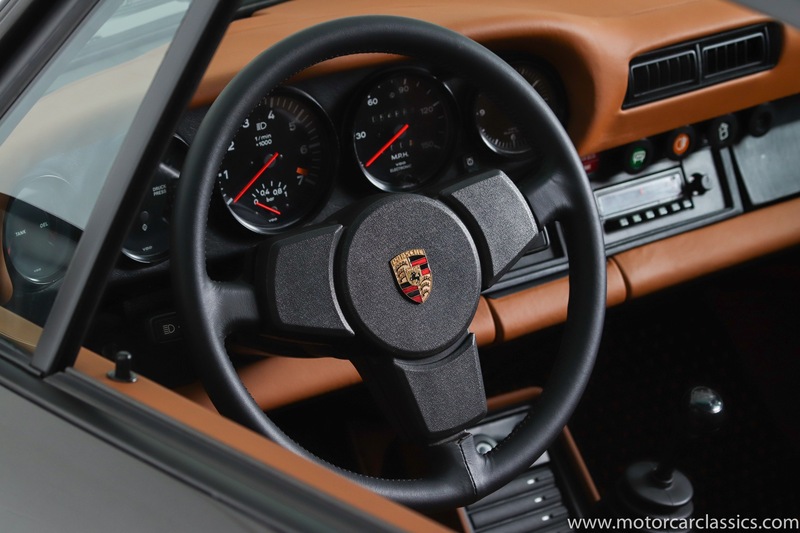 Even the factory steering wheel was re-covered. 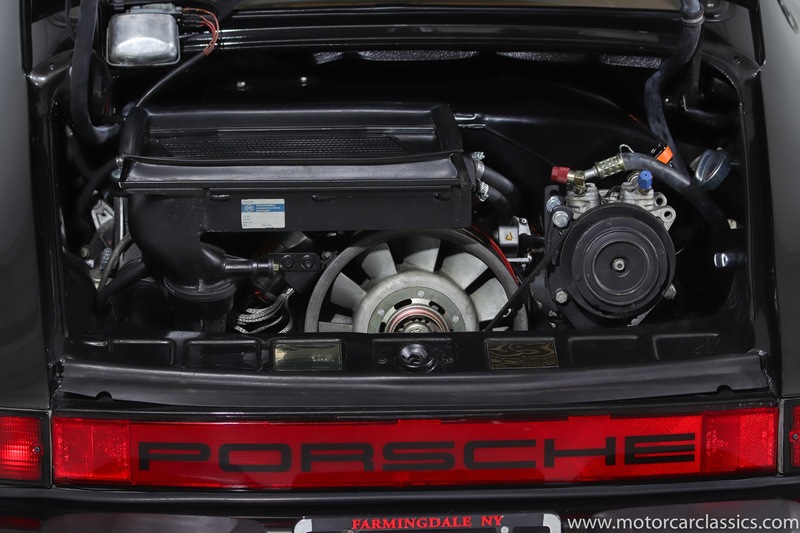 The engine was completely rebuilt, sealed, tuned and tested. 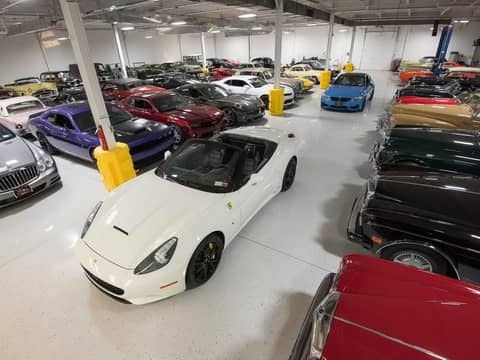 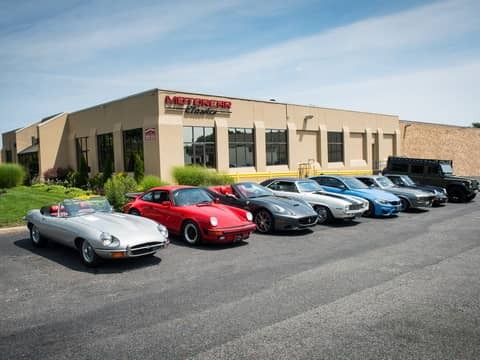 It received all new spark plugs and wires and, with the exception of an aftermarket stainless steel exhaust system that sounds incredible, the drivetrain is correct and original to the car. 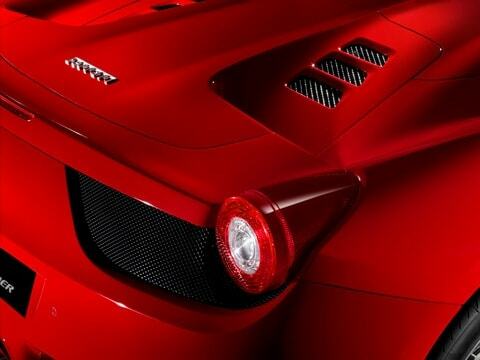 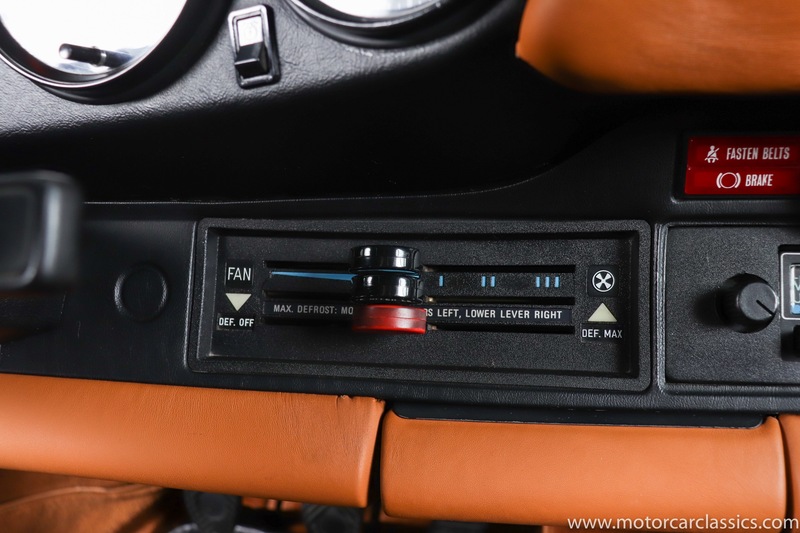 Features include AC, Blaupunkt stereo, and chromed factory wheels. 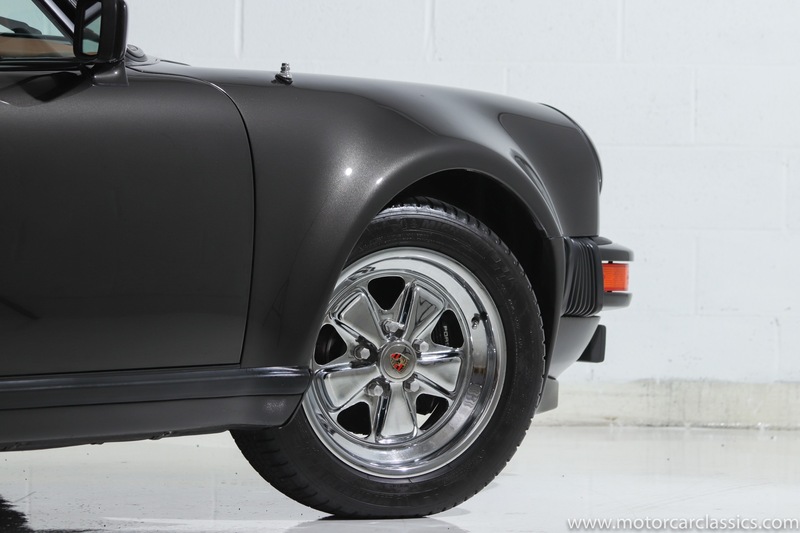 The suspension has been restored with new Koni Shocks and powder coated original control arms. 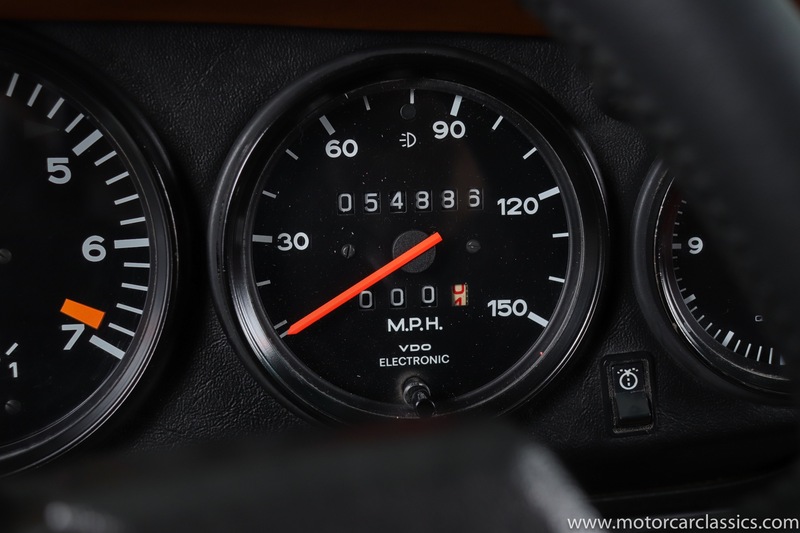 The car has about 55k miles and has covered less than 1,000 miles since it was completed. 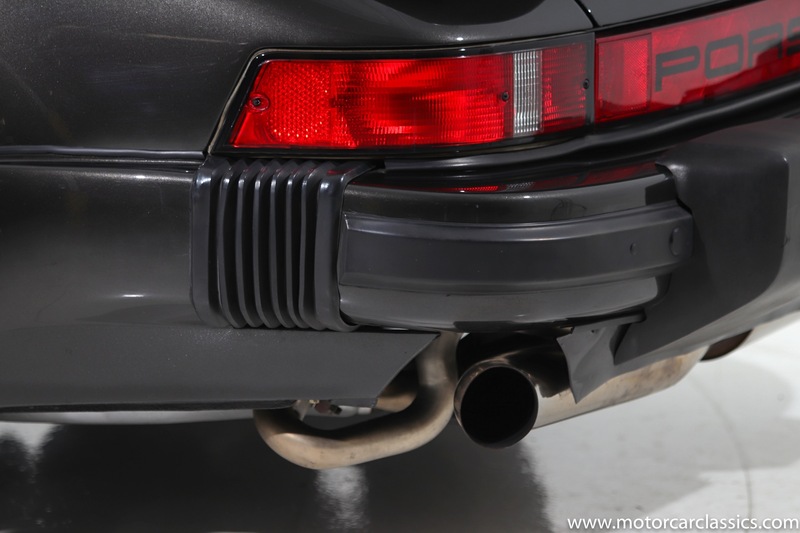 Everything works properly and the car performs as new in all respects. 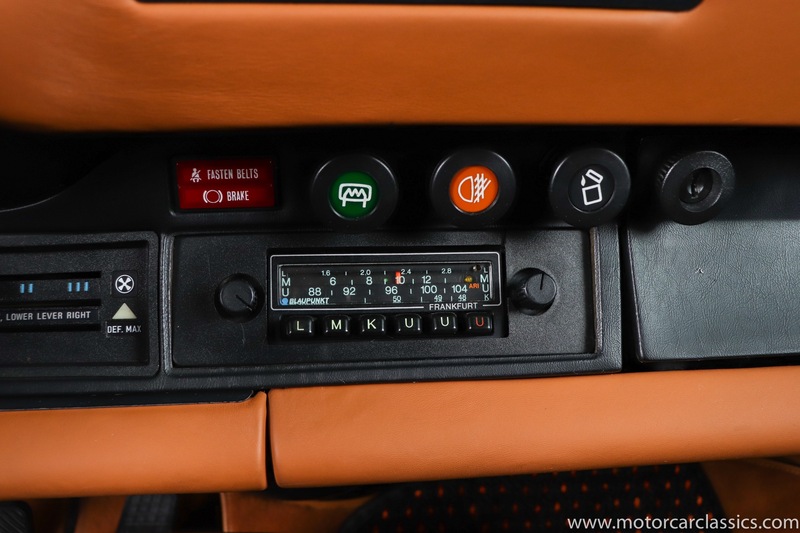 It also comes with 2 keys, full set of tools, owner's manuals and a large binder of service records and documentation. 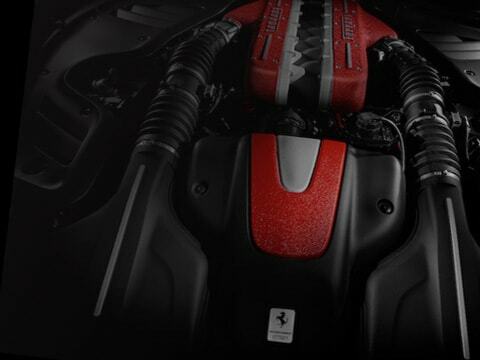 Drive or show with pride.